With Valentine’s Day around the corner, you may be on the hunt for creative ways to show your affection. 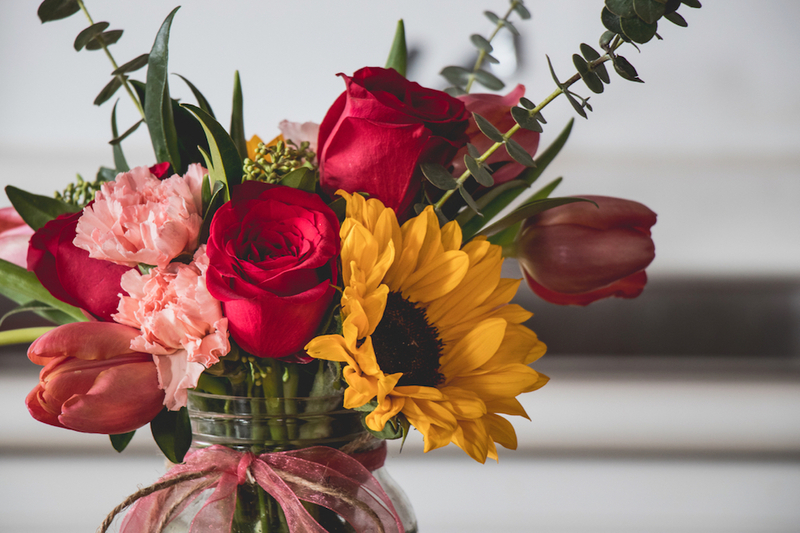 It’s no secret that everyone loves receiving a beautiful floral arrangement. 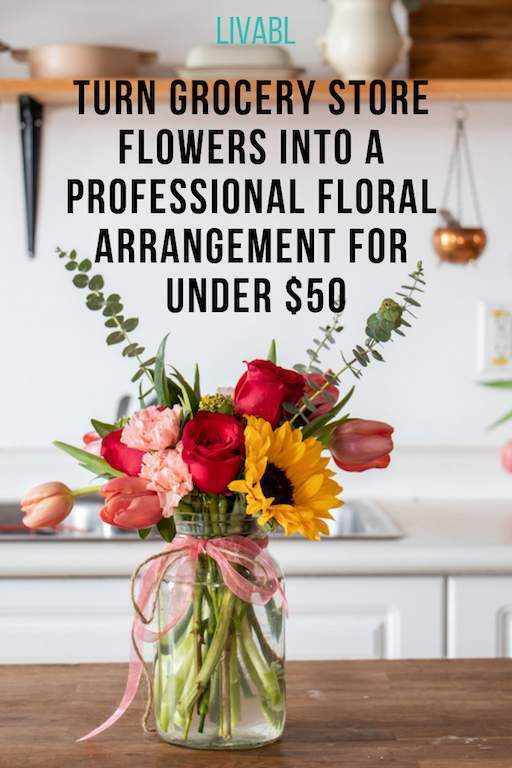 But not everyone can justify the hefty price tag that can often come with buying one from a florist, which can run upwards of $80. 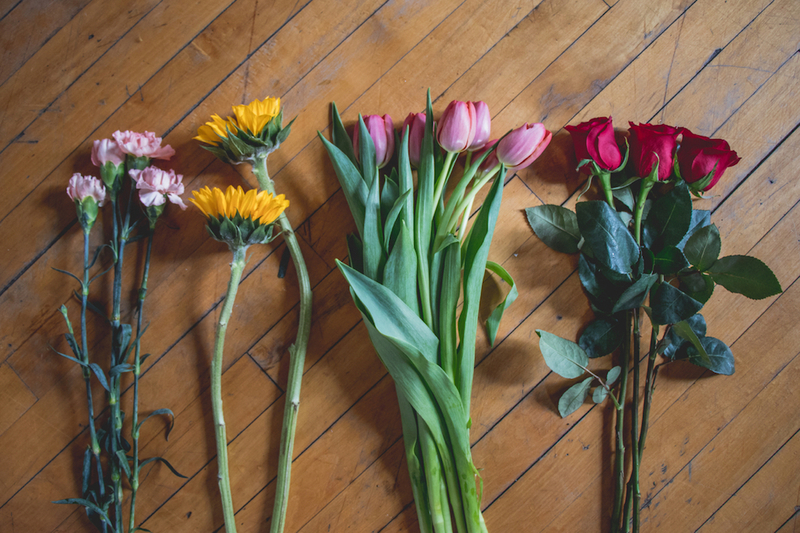 In this video, you’ll learn how to elevate common flowers you can find at grocery stores or your local flower shop — think roses, tulips and carnations — into an arrangement that looks like it came from a pro. Most people will have a one-liter mason jar kicking around and the ribbon adds a custom, rustic touch. For this arrangement, we used two types of eucalyptus — baby blue and willow seeded — to create the base layer. You can experiment with the greenery that’s available to you, including ruscus, fern or even some pine from your backyard. 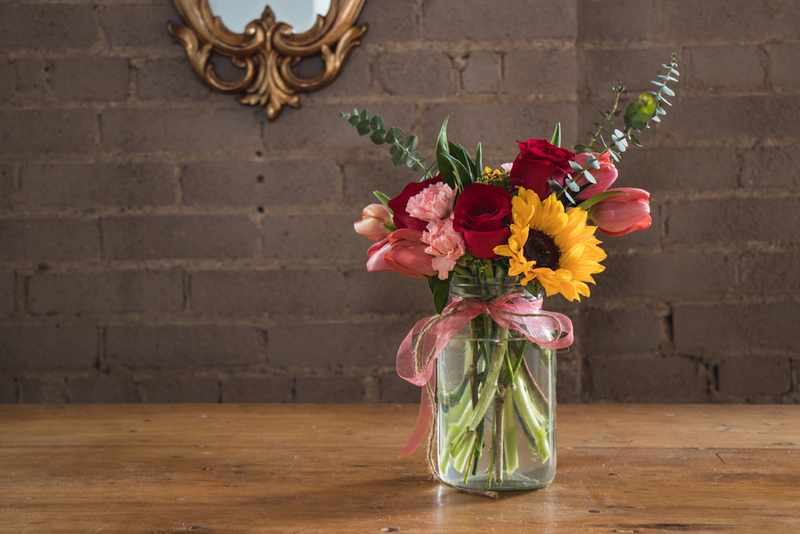 We went with coral tulips, peach carnations, deep red roses and then added two sunflowers for an unexpected pop of color. These blooms are sure to be just as vibrant as the person receiving them but you can also go with a softer palette of whites and light pinks. All together the materials came to $40 and there were enough supplies to fill two vases. 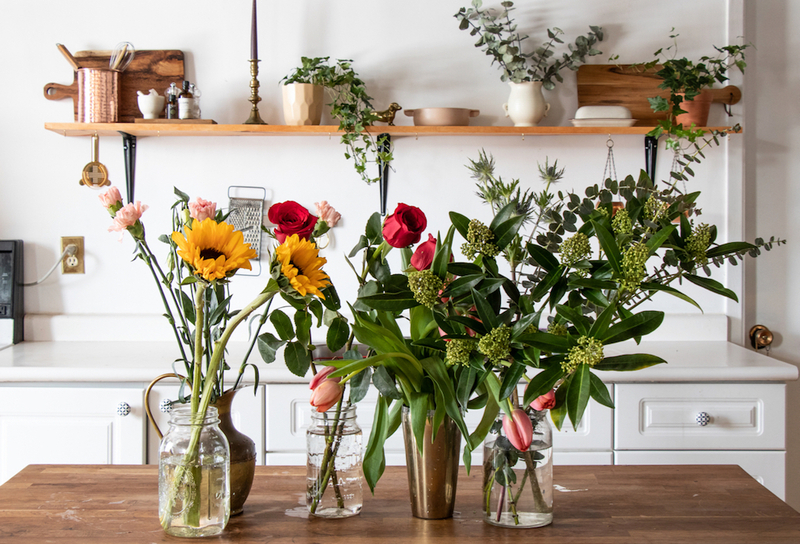 With these common flowers and some tricks of the trade, you can delight someone you love — no matter the holiday — and also treat yourself which is never a bad idea. 3 roses, purchased individually for $3 a stem. 5 carnations. This is one of the most affordable flowers you can get, averaging around $1/stem. 2 sunflowers, purchased at the flower shop for $2 a stem. 3 eucalyptus branches, sold in small bunches averaging around $3—$5. 2—3 clippings of willow seeded eucalyptus or other greenery alternatives like ruscus, $7.99 for 3—4 branches. Optional: Floral food. Ask the retailer where you buy the flowers if they have any sachets on hand or order online).